There is a principle in physics which says that, essentially, if two things are entirely indistinguishable, then you might as well call them the same thing. There is even a branch of statistics (Bose-Einstein statistics) which is based on this principle. Now, the meaning of the word “indistinguishable” has a very specific meaning in this context. In physics, two things are indistinguishable if they cannot be distinguished no matter what anyone does. That is, they cannot be told apart even in principle. If there is a way to tell two things apart, then “regular” statistics holds; but if they truly are indistinguishable then they obey the much less intuitive Bose-Einstein statistics mentioned previously. 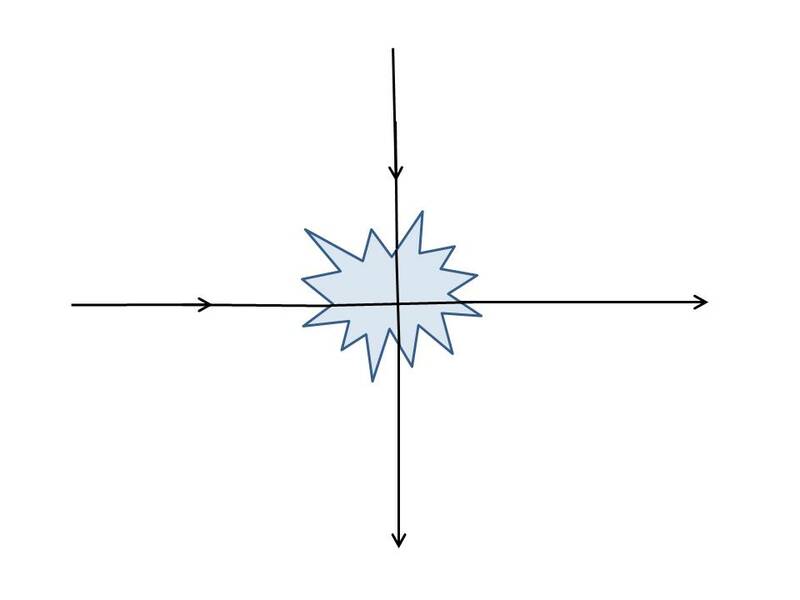 As an example, suppose a photon is absorbed by an atom, and the atom subsequently emits another photon of the exact same frequency and polarization. 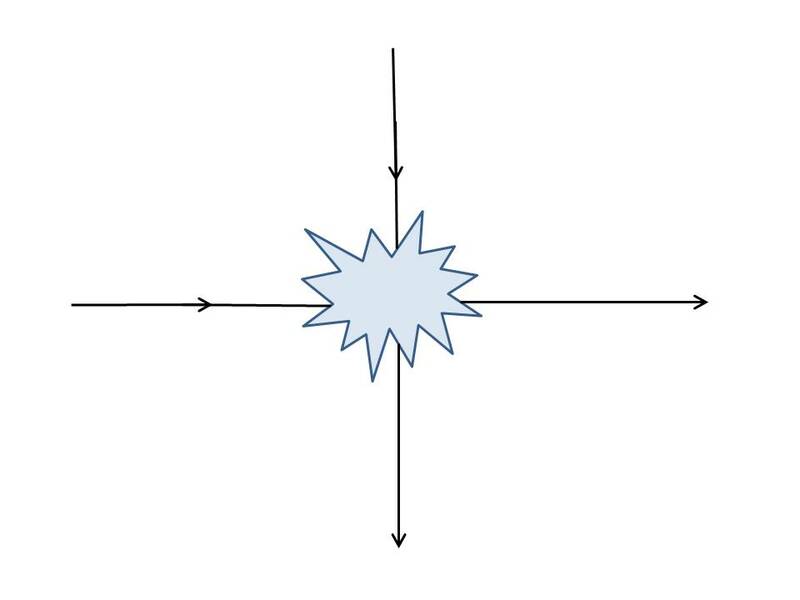 One could say that a photon was absorbed and then the same photon was re-emitted; or one could say that a photon was absorbed (and destroyed) and then a completely different but identical photon was emitted. The principle of identical particles says that these two cases are equivalent. Neither one is right, or wrong. Whichever you choose to believe is a matter of taste. There is no experiment that even God could do that would tell you which was “right” and which was “wrong”, so why worry about it? They represent the same thing. We can’t see what “actually” happens at the origin. After the collision they are traveling South and East again. If that’s all you know, and all you could know, then which of the following cases is correct? A physicist would say that these are identical situations, as long as no one, not even God, is allowed to look under the veil. And the distinction isn’t just semantic: if the particles are distinguishable, and these two cases really do represent two distinct physical possibilities, then the statistics of what we observe in such situations will be different. Now, what in the world does this have to do with philosophy? If two things are indistinguishable even in principle, then they are the same. Now I’d like to apply this principle to what I call the “Next morning” paradox but which is virtually identical to the Swampman paradox of Donald Davidson. Suppose I go to sleep tonight and enter a deep sleep (so that I am not even dreaming). And suppose that during this time of unconsciousness my body spontaneously disintegrates, and just happens to be replaced with an identical one: identical in every way, including the position of every molecule. (Of course, you might try to cite Heisenberg here and say you could never make a body exactly like a previous one, because there’s always some uncertainty in position and/or momentum. But, as in the original Swampman example, we assume that luck prevails: just by random chance the atoms are all found in the same way.) This new version of “me” wakes up, lives his life, and no one (not even the new me) has any idea that anything has transpired. Davidson and others contend that the new me is not “me” at all, even though no one could tell the difference. They say that there is some intangible spark that can never be quantified that somehow still distinguishes yesterday’s me and today’s me. That is, the difference between the two me’s is magic. I find this ludicrous. Any being that has all of your physical properties, and more importantly, all of your mental properties and memories, is you. This may bother some, because it implies that more than one “me” can exist simultaneously; after all, we could make an exact replica of me and leave the old me intact. Well, who cares? As a many worlds adherent, I guess it’s not surprising I wouldn’t be bothered by such a scenario at all. I find these ideas so obvious that it’s almost difficult for me to convey the ideas without screaming internally. The principle has its beginnings in physics, but I find it applicable here: if x and y are indistinguishable even in principle, then x = y. End of story. I frankly have no idea why anyone takes Davidson’s ideas seriously anymore. Think of it this way: suppose you knew you were going to be killed, but that an exact replica of you would be put in your place, and have all your memories, and live your life. On a visceral level, you’d probably be upset: “you” would live on, but it wouldn’t really be “you”. This is the developmental stage that Davidson is stuck in. My response: that scenario might have happened last night. You might actually have died, and been replaced. No big deal, right? In fact, it might be true that everyone dies, every single night, and is always replaced by a perfect simulacrum. The important point is that you could never know. No one would know. The universe would appear exactly the same. We might as well take these two cases (that we are replaced, or that we are not) as being operationally identical. For all intents and purposes, you can assume that every night you die, and that in the morning a different version of you is created with the same memories, that will act exactly as you would have acted. Because this way of looking at things is really identical to the way we normally perceive reality, there can be no harm in thinking this way. In fact, thinking this way may very well lead to insights and attitudes that you wouldn’t have had before. I find this idea strangely liberating. Each “me”, every day, can be thought of as a different person, related to me, and sharing some of my qualities, but separated both by time and space. And we’ve come now to the final point of this post: how I learned to stop procrastinating. For when you think of future selves as being entirely different people (which, in some sense, they are) then you can start thinking about doing favors for your future selves. I don’t want to clean the kitchen now. I could procrastinate. However, to do so would be doing a disservice to “future me.” Why not clean the kitchen today, and do a favor to my future self? It’s no different than doing the dishes as a favor to your spouse, or mowing a lawn as a favor to a friend. Your future self will appreciate it, and be grateful for your thoughtfulness. For, if you’re a nice person, and enjoy helping others, why not put your future self in that category? Treat your future self as a fully formed, thinking, rational person, with thoughts and feelings and aspirations and concerns. It’s easier to do this if you actually think of a future self as a different person entirely. Then, it will be easier to do a favor for this person, be nice to them, care for them, sacrifice for them. When seen in this light, procrastination is just a form of selfishness. Would you get drunk if you knew someone else, a random person somewhere, would have a terrible hangover because of your actions? I’d hope that most people would not. And yet, “Saturday morning you” is a person, just like “Friday night you” is. So why be so selfish? Why have that tequila? I am not trained as a philosopher, although I have published works on the philosophy of quantum mechanics. 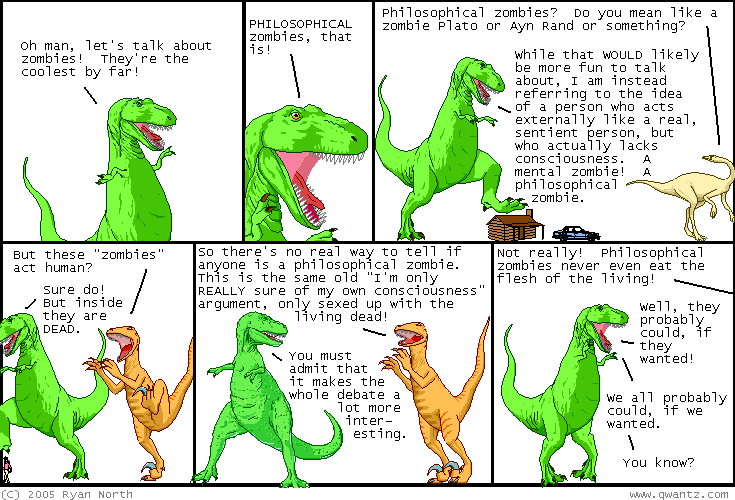 Nevertheless, I don’t think philosophy is the exclusive playground of those with philosophy PhD’s. As this example shows, something as abstract as Bose-Einstein statistics can inform “traditional” philosophical questions such as the existence of God, the mind/brain problem, and philosophical zombies. My intent here is to get people thinking, discussing, evaluating. Science and philosophy are not enemies. They’re frenemies. Let’s hope they continue to play together in the sandbox. Extra spectral colors, or, why I hate beige. I don’t want this shirt for my birthday. What do the colors pink, gray, and beige have in common? For one thing, they’re all annoying. I mean, come on…this isn’t rocket science. My thesis is this: that these colors are so annoying because they’re extra spectral colors. And on some primal, instinctual level, humans don’t like extra spectral colors very much. In a previous post, I talked about how humans have 3 kinds of cones in their retinas. Roughly speaking, these cones react most strongly with light in the red, green, and blue parts of the visible spectrum. Now, as I mentioned, “color” is a word we give to the sensations that we perceive. 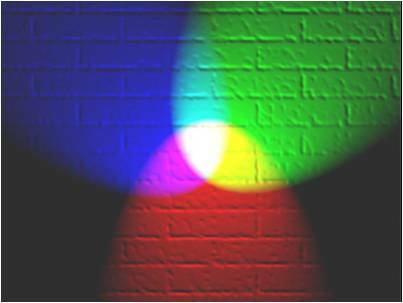 Light that has a wavelength of 570 nm, for example, stimulates “red” and “green” cones about equally, and we “see” yellow. That’s why we say that R+G=Y. That’s why we also say that 570 nm light is “yellow” light. Extra spectral colors are colors that don’t correspond to any one single wavelength of light. They are “real” colors, in the sense that retinal cones get stimulated and our brains perceive something. However, extra spectral colors don’t appear in any rainbow. To make an extra spectral color, more than one wavelength of light must hit our retinas. 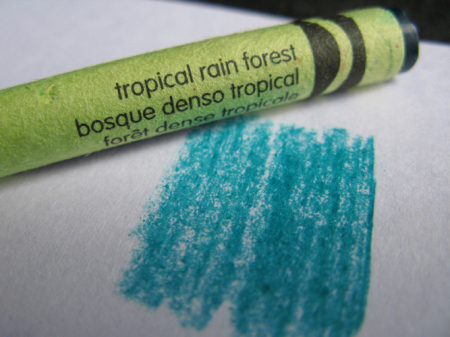 Our brains then take this data and “create” the color we perceive. In terms of the RGB color code, extra spectral colors are those in which both R and B (corresponding to the cones at either end of the visible spectrum) are non-zero. And I don’t know about you, but I have a very heavy preference against extra spectral colors. Now, admittedly, white (RGB = [255,255,255]) is about as extra spectral as you can get. Does white annoy me? Not really; but as a color, it’s also pretty dull. Does anyone paint their bedroom pure white on purpose? Does anyone really want an entirely white car? But the other extra spectral colors I mentioned earlier are a who’s who of mediocrity. Does anyone older than 16 actually like pink? Has anyone in the history of the world every uttered the sentence, “Gray is my favorite color”? 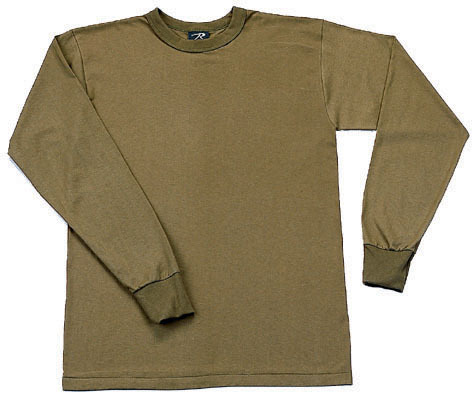 And beige—ugh. Just, ugh. Standard pink has an RGB code of [255, 192, 203]. Surprisingly, there are combinations that are much, much worse. Hot pink [255, 105, 180] disturbs me. Champagne pink [241, 221, 207] bothers me. Congo pink [248, 131, 121] doesn’t actually make your eyes bleed, but I had to check a mirror to verify this for myself. Beiges are less offensive, but that’s like saying cauliflower tastes better than broccoli. Of particular note are “mode beige” [150, 113, 23] which used to be called “drab” but was re-branded in Orwellian fashion, and feldgrau [77, 93, 83] which was used in World War II by the German army, in an apparent attempt to win the war by losing the fashion battle. This is speculation, but I’ve often wondered if these colors bother me because they are stimulating all three kinds of cones in my retina. Maybe in some deep part of the reptilian complex portion of my brain, I know (on an intuitive level) that these colors don’t correspond to any particular wavelength. These colors don’t appear in the rainbow. You can’t make a laser pointer with one of these colors. You can’t have a magenta, or a beige, or a gray photon. And somehow, my aesthetic sense knows this. So when I see the color “dust storm” [229, 204, 201] my limbic system tells me to wince, and I’m saved from even having to know why. Anyway, I’d be interested in seeing which color(s) bother you the most. I’m going to guess the color(s) are extra spectral.